“Dirty Grandpa benefits from its sunny locations, where bright lighting conditions and some good use of vivid splashes of colour delivers an appealing and natural looking palette. “Honestly, with a movie filmed so recently, I was surprised it looked so average on Blu-ray. Much of the movie appears soft almost out of focus. Long shots are especially hazy. 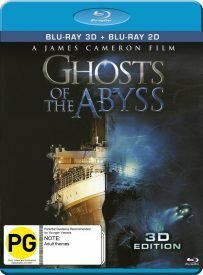 “Ghosts of the Abyss finally makes its Australian Blu-ray debut courtesy of Via Vision, who provide three viewing options. The hour-long original theatrical feature can be viewed in both 3D and 2D, while the extended edition is also on this set, in regular old 2D. “In keeping with the movie’s theatrical exhibition, all presentations of Ghosts of the Abyss on this disc are framed at 1.78:1. Also new are Zoolander 2 – Magnum Edition (“details are strong and colours nice and bold“), The Finest Hours (“good contrast and colour on the whole”), Misconduct (“well detailed and stable”), Cut Bank (“some minor but nagging issues with compression”), Anomalies (“gorgeous, with appropriate, well-saturated colour”), Tale of Tales, Even Lambs Have Teeth, Term Life and Yakuza Apocalypse: The Great War of the Underworld. Season one of Ballers is the only TV-on-BD newcomer (“detail is amazingly impeccable throughout in the textures, skin pigments, backgrounds, clothing, vegetation and the many water environments”). But ‘toon fans can choose from DC: Justice League vs Teen Titans and the anime titles Date A Live II – Complete Series Two, Assassination Classroom – Part 1 Limited Edition, Berserk: The Golden Age Arc Movie Collection, Assassination Classroom – Part 1, No-Rin – The Complete Series, Fairy Tale – Collection 19 and Psycho-pass – The Complete Season 1. Dr Strangelove, or How I Learned to Stop Worrying and Love the Bomb, at last debuts re-releases on Blu-ray this week, complete with a pop-up trivia track, split-screen interviews with Peter Sellers and George C Scott, and an interview with former Secretary of Defense Robert McNamara. 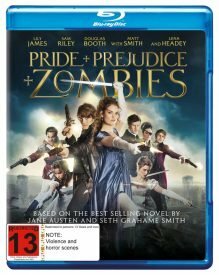 Other notable reissues include David Cronenberg Collection, which combines Shivers and Dead Zone with, for the first time on disc in NZ, Rabid, Glory, Fear & Loathing in Las Vegas, The Seventh Sign, The Mothman Prophecies and Kindergarten Cop 2. Dr. Strangleove has been out on BD in various forms since 2009. Thanks for the update. I know the DVD had but thought the BD had only been part of a Kubrick collection.